Brunch is my absolute favourite meal. Hands down. Day drinking? Yes please! French toast, muffins, hashbrowns, pancakes . . . all of these foods are ridiculously delicious. 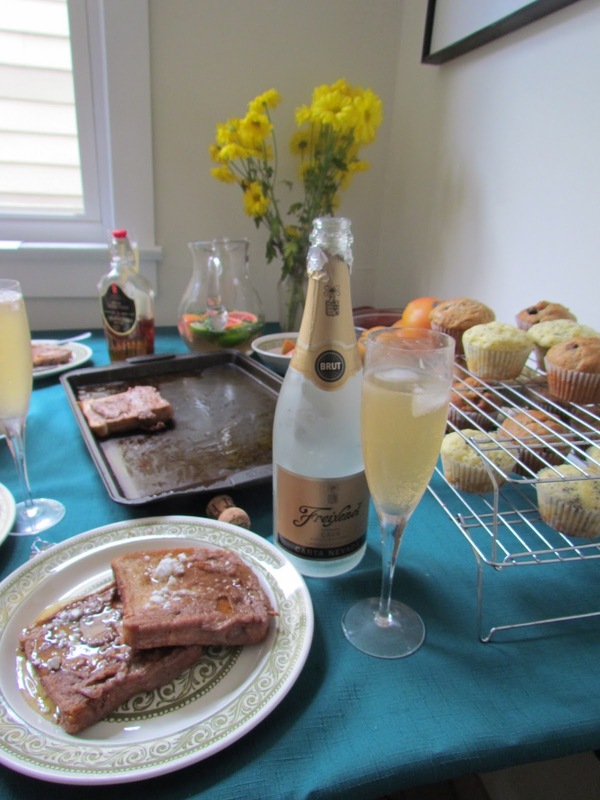 I had two of my very best friends over for brunch and it was weekend perfection. It is so difficult to find time that we can all get together, when it happens it is the best! I am lucky to have incredibly talented driven friends, who always have a thousand projects on the go. It always makes for fascinating conversation! And these beauties! Banana chocolate chip muffins, with maple syrup instead of refined sugar. I found the recipe over at Silk and Spice. 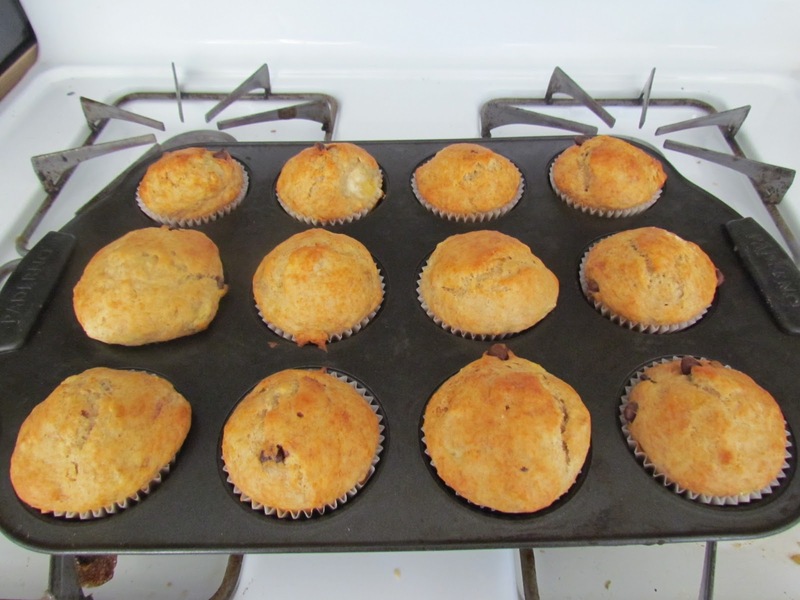 These muffins were insanely good and are going to make an appearance whenever I find myself with mushy brown bananas! No brunch is complete without something delicious to drink. 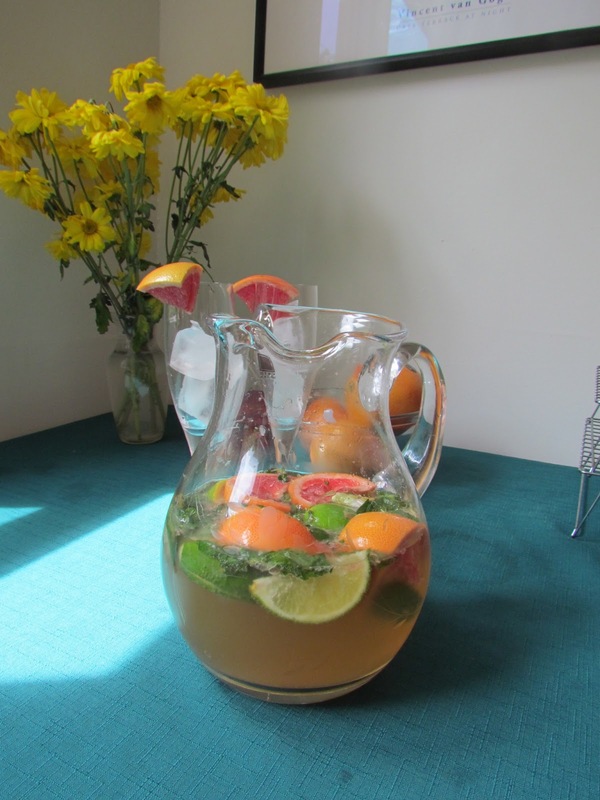 I decided to go all out and make a pitcher of champagne grapefruit mojitos. Let me tell you, this cocktail was a huge success! 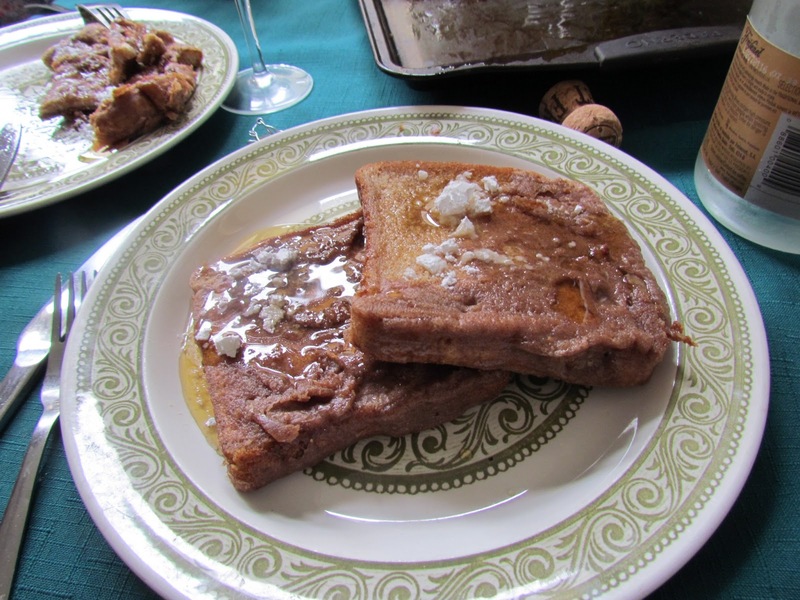 The main event was cinnamon infused, syrupy french toast. It was delicious if I do say so myself. The happy, sticky faces around the table certainly seemed to agree! There are very few things better then good food shared with good friends. I cannot wait for more sunny summer mornings filled with the delicious smells of cinnamon and maple syrup! A perfect way to start the summer! 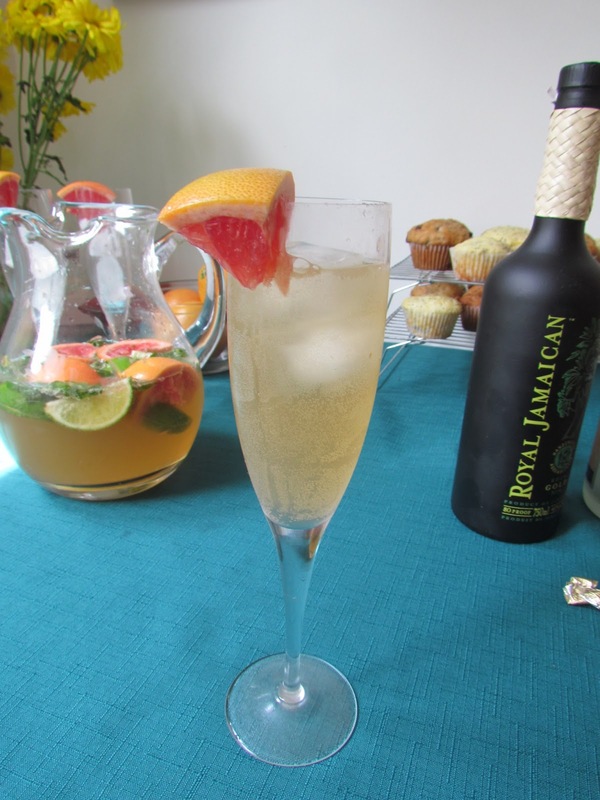 And serve over ice with a wedge of grapefruit for garnish! In a big bowl whisk together all of the ingredients.